For most of my life, I never considered myself a cook. I grew up eating whatever my parents cooked at home, going out to eat with my boyfriend, or just grabbing fast food wherever. I loved food, but it was more about eating it than cooking it myself. At first, my boyfriend and I would get food from typical fast food chains and casual joints. As much as I love a greasy burger or burrito bowl, it wasn’t healthy. And the cost adds up quickly. I knew that something had to change now that we were living together. Before I met my current boyfriend, I ended up staying at my sister’s house often. She enjoys cooking, and had me help out when she prepared meals for us. 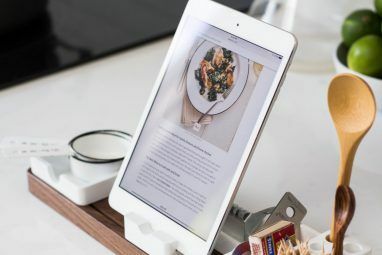 I learned some basic cooking techniques The 7 Best Online Cooking Guides for the Beginner Cook The 7 Best Online Cooking Guides for the Beginner Cook You can learn how to be a great cook. 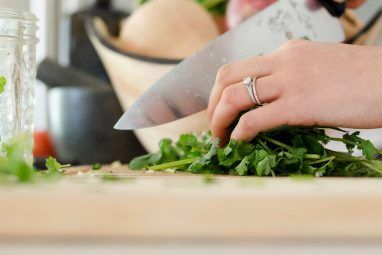 These cooking guides for the beginner cook are few of the best places to start. Read More from her during my time there. But as someone who’s considered lazy by others, I didn’t like cooking when it involved babysitting pots and pans on the stovetop. Then my sister told me about the Instant Pot. She raved about it, telling me about the delicious meals she’s made just with this one kitchen appliance. This magical pot has changed my outlook on cooking. Even if you’re not a (good) cook, the Instant Pot will change your culinary life. Simply put, the Instant Pot is a multi-cooker. It does six or seven things, depending on the model you choose. The Instant Pot is primarily an electric pressure cooker, but it’s also a slow cooker, rice cooker, steamer, sauté/browning pan, and a warming pot. The non-LUX models also have a yogurt-making function. One kitchen tool that does seven different things? Sign me up! I certainly don’t have the space for seven separate appliances, so the convenience factor is definitely there with the Instant Pot. Plus it can make foods that normally take several hours in a fraction of that time. The Instant Pot exterior is fingerprint-resistant, heavy duty, brushed stainless steel. There’s a condensation collector cup that snaps into place on the outside for collecting excess liquid. Inside is a stainless steel inner pot where you throw all of your ingredients. The lid features an anti-block shield (pictured above) that prevents food particles from blocking the steam release valve. The plastic sealing ring is a vital component. Without it, pressure won’t build inside the pot, and nothing cooks. There’s a floating valve pin on the top of the lid that indicates pressure and prevents the lid from opening. To get rid of pressure, steam must escape through the safety valve at the top. This is the knob that you can turn to seal or vent position. When recipes call for Quick Release (QR), you must gradually release pressure by turning the valve to vent. Be careful of the steam! Natural Pressure Release (NPR) is allowing the pressure to go down by itself with no user input. This occurs during the Keep Warm phase, which happens right after the cook time. While the Instant Pot components may be intimidating at first, it’s not too bad once you get the hang of things. It is highly recommended to read the manual and do the initial water test to see the basics in action. There’s a lot of pros to having the Instant Pot, but it isn’t without its own set of flaws, as well. The best part about the Instant Pot is the fact that it’s an appliance that lets you dump in the ingredients, set it, and then forget about it. It does all of the work for you, so you can go sit back and relax for a while as the food cooks. If you’re a parent, then this is even better, as you can spend time with your little ones while they wait. The “dump-it-in-and-forget-about-it” mentality that comes with Instant Pot cooking also means not having to babysit your food on the stovetop or oven. For me, this is a huge benefit, as I don’t like having to wait around in front of a stove in a hot kitchen. Another nice thing about the Instant Pot is that you don’t have to be a good cook to make great food. Even if you have zero cooking experience, the Instant Pot lets you easily make pot roast, soups, stews, and whatever else you’re craving with minimal effort. Just find some reputable recipes, follow the directions, and voilà! Plus, it’s especially useful for foods that normally take several hours in a slow cooker, such as pot roast. And in the end, there’s less to wash.
For those with limited kitchen space, the Instant Pot can be a great space-saver with its multiple functions. Theoretically, you can probably replace most of your kitchen appliances with a single Instant Pot. No more rice cooker, slow cooker, microwave (Instant Pot’s Keep Warm setting can heat up leftovers), or yogurt maker. While it’s plausible, it’s not completely advisable, as I’ll get to in a moment. However, the Instant Pot is not the end-all-be-all of kitchen appliances because while it’s mostly great, it has some downsides. The first downside is while the Instant Pot can be a timesaver for a lot of things (like stew and pot roast), sometimes it doesn’t save much time. For simple things, like eggs or steaming vegetables, it may not be worth the effort. This is due to the Instant Pot needing to build pressure first, which takes several minutes, in addition to the actual cooking time. Plus, little things like that aren’t too hard to cook traditionally. One of the biggest disappointments is the slow cooker functionality, and there’s a lot of mixed reviews out there. Since the Instant Pot heats up differently than a slow cooker (heat from center bottom rather than traveling upwards to the sides of the ceramic pot), you have to adjust the Instant Pot’s settings for slow cooking. This means that the Instant Pot’s Low is equivalent to Keep Warm on a slow cooker, Normal is Low, and More is High, respectively. If you plan to do slow cooking, it’s better to keep your Crock Pot (or whatever slow cooker brand you use) around, because the Instant Pot’s better at pressure cooking than slow. Finally, the biggest negative about the Instant Pot is probably how intimidating it looks at first glance. It’s a technical piece of machinery and unlike anything you’ve cooked with before. There can be a bit of a learning curve with it, but once you get the hang of it, cooking with it becomes a breeze. But you’ll have to get over that initial hump first. The Instant Pot is great with roasts, stews, soups, broth, chicken, rice, and quick meals without requiring you to babysit it the entire time. But what else can you do with the Instant Pot? One of the reasons I decided to start cooking more is because I’m trying to eat healthier. The same applies to your faithful adopted friend 5 Best Animal Rescue Sites To Find Your Next Pet 5 Best Animal Rescue Sites To Find Your Next Pet If you’re thinking of adding a new pet to your household, you may want to look into adopting or rescuing one from a shelter instead of buying one from the nearest pet store. Local animal... Read More . Kibble is just dry pebbles that come out of a factory and look rather unappetizing. And since it’s processed, dogs can suffer inflammation, weight gain, diabetes, and more health issues if that’s all they eat. Especially with cheaper brands of dog food. But if you have an Instant Pot, it’s entirely possible to make your own homemade dog food. While dogs need a lot of protein, they also need some carbohydrates, fat, and vitamins. When you make your own dog food, you can mix together various sources of protein, produce, and other supplements that are safe for dogs to consume. Prep time, cook time, and cost are minimal, and there will be plenty of food for your pup. You may store remaining servings in the fridge for up to two weeks or frozen for up to three months. The Instant Pot is primarily used for making savory foods, but it is entirely possible to make desserts in it as well. One of the most popular Instant Pot desserts is cheesecake. Who doesn’t love a decadent cheesecake? The key with making cheesecake in the Instant Pot is the pot-in-pot method. This requires placing water on the bottom of the inner liner, and then using the trivet (or a metal rack) to hold a springform pan. All of the ingredients for your cheesecake go in the pan that sits on top of the water. One cup of water (usually the minimum for cooking anything in the Instant Pot) is necessary for creating steam and building pressure. There are plenty of different flavors of cheesecake that you can make. I recommend checking out Pressure Cook Recipes and This Old Gal for tried-and-true formulas and methods. Don’t like cheesecake? Not a problem. I’ve heard of the Instant Pot making chocolate lava cakes, applesauce, flan, and much more. If you love making homemade desserts, the Instant Pot is a great tool in your arsenal. A simple internet search Which Search Engine Should You Be Using Today? Which Search Engine Should You Be Using Today? There are many search engines out there, but which one is the best for you? Read More will bring up many Instant Pot dessert recipes. There’s also room for experimentation if you have an understanding of how pressure cooking works in general. Yogurt not only tastes good — it’s healthy, too. But buying it constantly at the store can get expensive, especially if it’s a frequent purchase. Fortunately, you can make your own batch of fresh yogurt for a fraction of the cost with the Instant Pot. To make yogurt with the Instant Pot, all you need is cold water, milk, and a yogurt with active bacterial cultures to serve as a starter. There are some special tools required, including food thermometers, and a stainless steel ladle. There’s two ways to make yogurt: the traditional method and the cold start method. All Instant Pot models, except for the cheaper LUX, come with a Yogurt setting. This makes the pot boil milk at around 180 degrees F. Then the milk needs to cool, you prepare the yogurt starter, add the yogurt to the cooled milk, and incubate for at least eight hours. If you use the cold start method, it’s much easier, but you’ll need more specific ingredients to make the yogurt. Either way, you end up with fresh yogurt that you can flavor yourself, and you get more yogurt for less than buying it at the store. Have you ever wanted to make your own lotion bars at home? Without the Instant Pot, you’ll have to use the double boil method. This method is cumbersome, annoying, and prone to accidents. But with the Instant Pot and the Keep Warm setting, the way of double boilers is no more. To create your own hard lotion bars, you need cacao (or shea) butter, beeswax, olive oil, and your favorite skin-friendly essential oils. Just set your Instant Pot to Keep Warm and toss in the butter, beeswax, and olive oil so it all melts together. Mix in the oils if you choose to use them, and then set aside to harden (or place them in the fridge). Once they’ve set, you can wrap them up in parchment and give them some fancy packaging. These would make great gifts, or you could even try selling them 6 Ways to Sell Your Crafts Online and Make Money 6 Ways to Sell Your Crafts Online and Make Money Want to sell your handmade crafts online? Etsy should not be your first choice and here's why, along with several alternative sites that might suit you better. Read More eventually if they’re a hit. While I’ve only had the Instant Pot for a few months, it’s changed my life for the better. I used to eat out much more because I was too lazy to cook, but the Instant Pot has changed my outlook. Rather than going out to eat or eating processed frozen or canned foods, I cook with the Instant Pot several times a week. I keep various red meats, chicken, and fish in the freezer, and make sure my pantry carries essentials for many recipes. When I make meals for my boyfriend and I with the Pot, there’s always leftovers, which means money saved on the next day’s meals. Plus, since I know everything that goes in my meal, there’s no more guessing what’s in my food (goodbye, weird mystery meat). Doctors have told me that I need to eat healthier, and the Instant Pot is pointing me in the right direction. It’s ignited an interest in cooking for me. Sometimes I get in the mood to make steak or breakfast, and I have no problem with turning to the stove or oven, or even investing in new kitchen tools. The Instant Pot Community on Facebook is very active, so I’ve been spending some time there, as well. People share lots of recipes and tips, so I’ve been able to try some new foods that I probably wouldn’t have thought of making. It’s been a great way to branch out. Even though the Instant Pot is great, it is by no means the end-all of kitchen appliances. However, it has improved my life because of how easy it is to make complete meals with it. What’s not to love about just dumping in ingredients, setting it, and then walking away and forgetting about it until dinner’s ready? 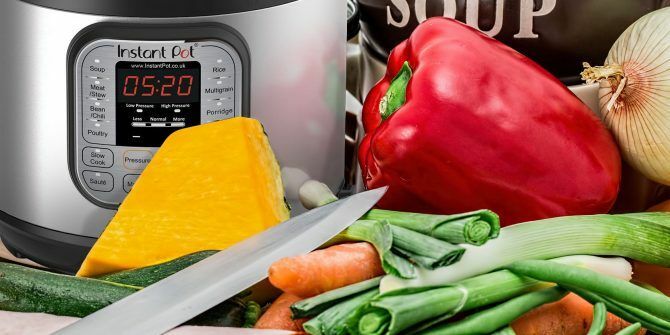 Plus it’s a super versatile tool, because it’s not only a pressure cooker, but it’s a rice cooker, steamer, yogurt maker, and more. You’ll feel like a chef once you start cooking with the Instant Pot. And for those who want to be more creative, there are many unorthodox things you can make in the Instant Pot. It’s quite revolutionary! Do you have an Instant Pot? Has it made your cooking life much easier? What are your favorite recipes or things to make in the Pot? Let us know in the comments! How do I cook a whole chicken, bone-in? I just bought the instant pot and want to cook a whole chicken (bone in). Any advice on how to do this?????? Can this be used as a canner for canning?? From what I understand, it can't be used for pressure canning, only water bath canning. That depends on what dietary philosophy you subscribe to. Low carbohydrate diet has not been categorically proven to be any healthier than any of the other 2,576,873 diets their proponents tout. You name a diet and there is bunch of studies proving that it is the healthiest on Earth and an equal number of studies proving beyond the shadow of any doubt that relying on that diet will kill you. These are only examples of things that you can make. For the most part, I mostly use mine to cook meats, which I thought were proteins, not carbs. There are also plenty of gluten-free or vegetarian recipes out there that you can make in an Instant Pot too. Red meat is not healthy for you, either. Or so some "experts" claim. I actually cook chicken often with the IP. It's just not pictured too much in this article (I couldn't fit all of my food pics here!). I have also used it to steam fish. They do have the Instant Pot Smart, which you can control through Bluetooth. But it doesn't mean you can use it remotely. Just within Bluetooth range. 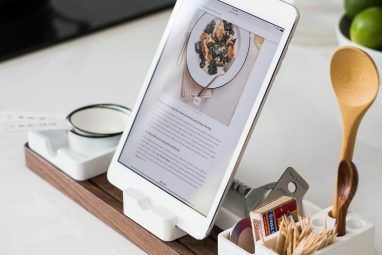 With just about every piece of ironmongery being made today boasting WiFi connectivity, I thought that something as brilliant as an Instant Pot must be smartphone-controlled. It's enough to give a device an inferiority complex. You could always plug it into a Smart Plug and remotely control that with your phone? Of course the best you could do is turn the Instant Pot Off or On remotely (or on a schedule), but I'm not sure how useful that would be....haha!